← “My Breakfast With Bob”– a non-report on a wine writer session with Robert Parker, Jr.
Summer is here and the temps have creeped up and, at least in my backyard, it’s pretty toasty out when wine o’clock rolls around each day. (And yeah, yeah, I can already hear some of you sniping about how you think I start drinking wine at breakfast, etc.) Anyway, at 5pm, when most of the year we are cracking open the chardonnay, you’ll now find me uncorking (or unscrewing) a bottle of delicious rosé. And I am not alone. For many years in this country, rosé wines were shunned while our European breathren and sistren reaped all the benefits of these delicious wines. Why? Well, many people blame our indifference on the fact that, for a long time now, the most prominent bottle of rosé found on grocery store shelves has been Sutter Home White Zinfandel. While many call it a rosé, and technically it is, it actually is more of a blush wine. What really sets it apart from a true rosé is its sweetness. Rosé wines are fermented dry, or nearly dry, and certainly do not possess the soda pop-like qualities of Sutter Home’s famous offering. Unfortunately, many American wine drinkers drank their fill of White Zin, grew tired of the sweetness, assumed that all pink wines were the same, and gave up on rosés altogether. What is a rosé wine? It’s basically a wine made from a wide variety of (mostly) red grapes but the juice from those grapes is only left on the skins long enough to impart a light red or pinkish hue. This method also eliminates, to a large degree, the tannins that are normally found in red wines, which come from the skins, stems and seeds. Once removed from the skins, the juice continues fermentation as if it were a white wine, usually in stainless steel tanks as opposed to oak. The resulting wines are dry, crisp and fruity, perfect for quenching your thirst on a hot summer afternoon or evening, and quite complementary to food. So head on down to Safeway or Whole Foods or your nearest wine shop and buy 3 or 4 different bottles to try. I am currently enjoying the three bottles pictured herein, but there are countless other labels on the market. Drop me a note with your favorites, and I will give them a taste. Hey, all in the name of research! 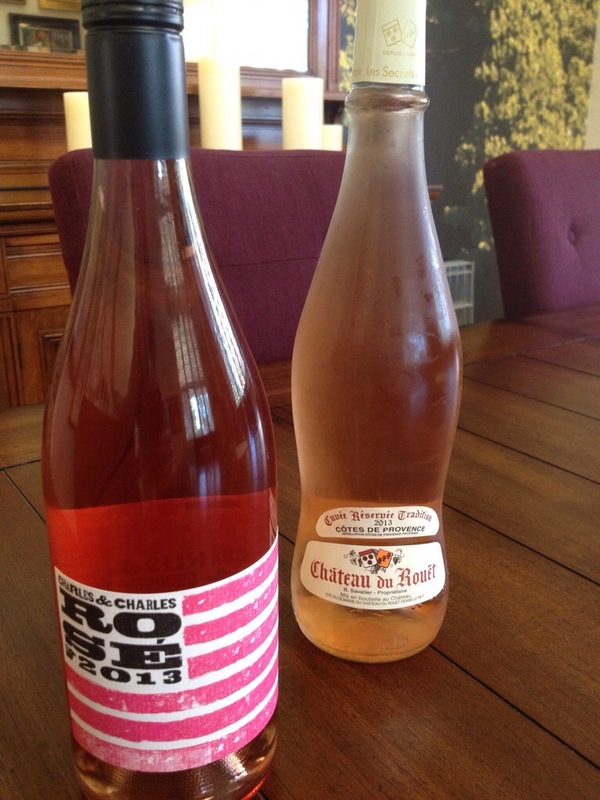 2 Responses to You are drinking Rosé this summer, aren’t you? 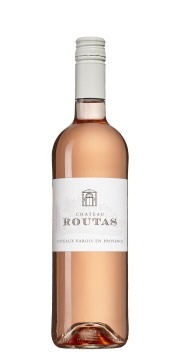 Oh my, that Chateau de Rouet was one of my go-to wines last summer. I need to find more. Whole Foods still has it!